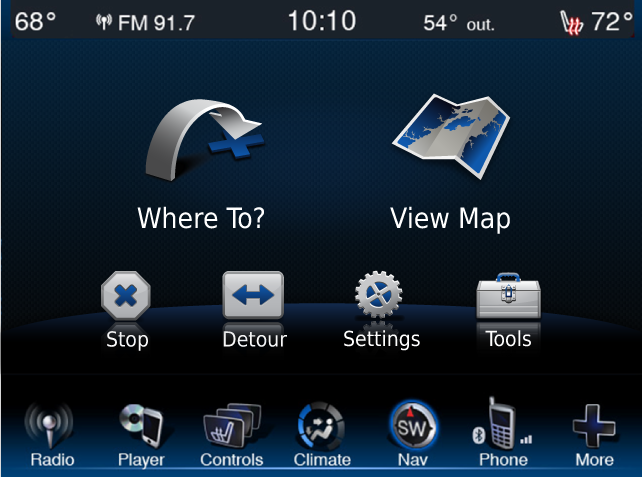 Garmin navigation solution for Chrysler integrated infotainment system. Fully redesigned HMI for Chrysler 2013 vehicles to match the interiors of Chrysler's brand models: Chrysler, Lancia, Maserati, Dodge, Fiat, and Jeep. Art direction included Full interface design, icon development, user interface graphic, feature additions to create for a more seamless automotive infotainment experience. 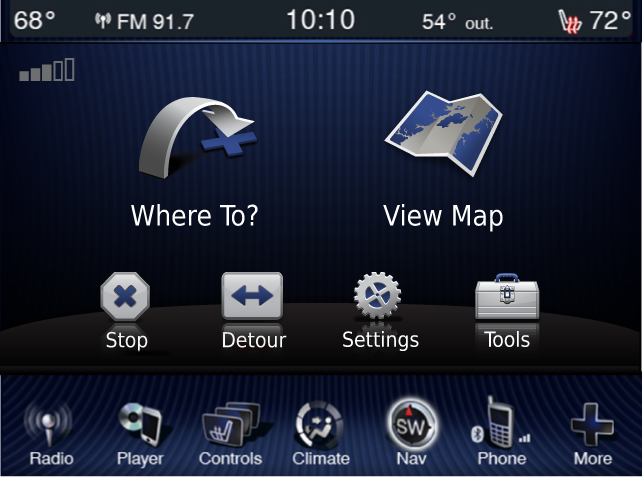 Each interface is customized to match seamlessly within Chrysler, Lancia, Dodge, Fiat, Jeep, and Maserati 2013 vehicles.